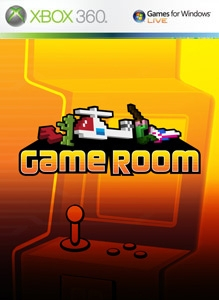 Game Room was most likely delisted early in March of 2015. The game, its downloadable game packs, and Avatar items were last confirmed available on February 20th, 2015 and were removed by the next Archive.org capture on March 17th. On March 4th TrueAchievements.com forum users began posting about errors making purchases, accessing previously purchased games, and re-downloading game packs. User Flolais posted on March 7th that they had received word from Xbox support that said “their solution was to enjoy what is left of the game”. By mid-March the Game Room application was encountering errors on launch for some players. A workaround of launching the app while the Xbox was offline proved useful for accessing games that had already been downloaded but purchases and re-downloads were largely not possible. A later forum post allegedly confirmed that “they shut down the servers for good on October 31st, 2017”. Clearly the extensive licensing involved is one of the reasons Game Room was ultimately shut down. However, the developer, Krome Studios, was also reportedly hit with huge layoffs in the same year that Game Room shipped and though they contested reports of the studio’s closure, the change in staff and management probably played a role in Game Room’s demise. Leaderboard outages and other problems with online functionality were frequently reported and some bugs were never addressed, most likely due to the reduced size of the team. Like many of Microsoft’s attempts with online-focused, “living” games (Karaoke, 1 vs 100, Xbox Fitness), it may also be that the company chose not to continue supporting the teams and infrastructure it would have taken to keep Game Room updated. “Game Room on Xbox LIVE and Games for Windows – LIVE lets you relive the glory days of classic arcade and console games in their original forms. Your avatar will take part in the original sights, sounds and gameplay that will make these retro games come alive on your Xbox 360 and Windows-based PC in one fast, fun experience. Game Room will bring you a library of original classics like “Centipede®” and “Asteroids Deluxe®” from Atari Inc. and other favorites from Intellivision, Konami Corp, and more.